At Jensen Fleet we understand that your company cars and your drivers are essential to the successful running of your company. One of the major things to understand in relation to the lease of company cars is the Benefit in Kind implications for your staff. 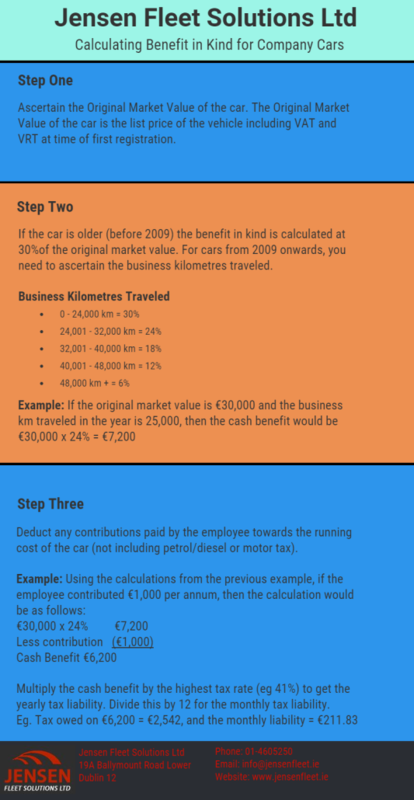 In relation to company cars, there are two ways of calculating the Benefit in Kind due from each employee. The extent of the relief depends on the total number of kilometres of business travel for the year, and (if the car was first provided in 2009) the CO2 emissions of the car. Where any of the above conditions are not met a 5% Benefit in Kind should be applied. For more information visit the revenue.ie. 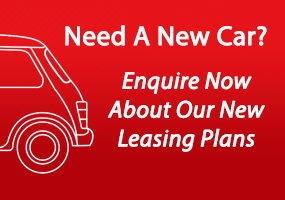 If you’re looking to lease a vehicle for your company call us today on 01-4605250 or email info@jensenfleet.ie to find the best package for you.